I am using a Microsoft Windows Server 2016‬ with Plesk (Version 17.8.11) as Control Panel. Here I describes about adding a new customer on Plesk. 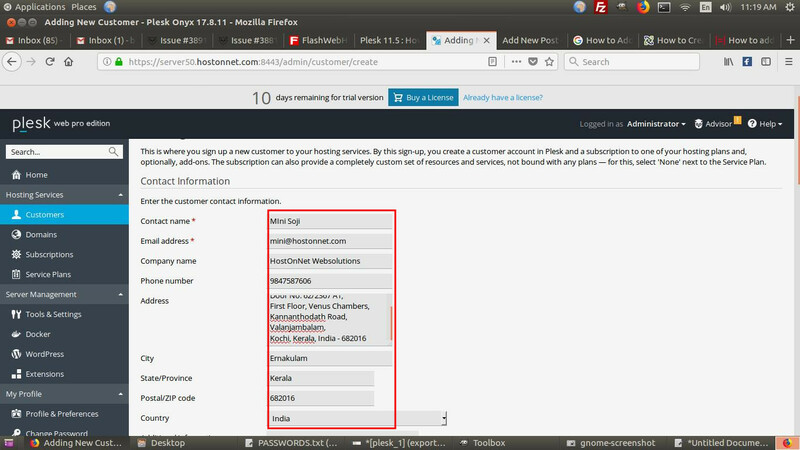 Under “Access to Plesk” create a username and password for the customer, and keep a record for future use. Once you provide all the details, click on the OK button at the bottom to add the hosting/customer account. ← What is an Extended Validation SSL Certificate ?